Creating better places for people and businesses is what place branding is all about. 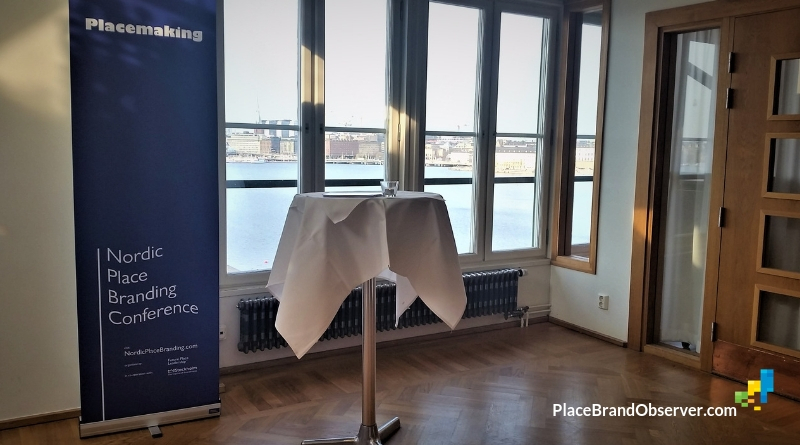 It was also the topic of this year’s Nordic Place Branding conference, yesterday in Stockholm. 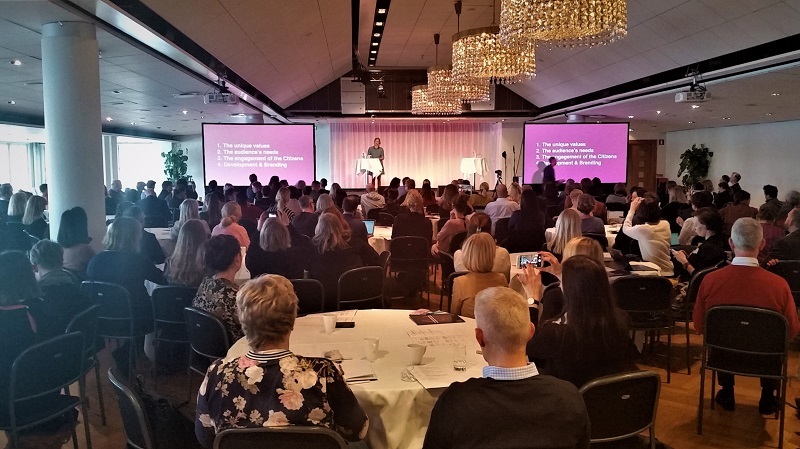 It was my first Nordic Place Branding conference and I was surprised by how many community representatives from Scandinavia and other parts of Europe – even Canada – attended. If you weren’t able to join, here a few notes and key takeaways. Not the full story of course (for that you have to be there – next year in Oslo, probably also early April), just a snapshot of what is occupying the minds and hearts of place branders at the moment. The conference was organized by Future Place Leadership, a leading place management consultancy based in Stockholm, specialized in helping communities attract and retain talent. Expertly moderated by Pärtel-Peeter Pere (I also strongly recommend our interview with Pärtel’s colleague Marcus Andersson on talent attraction and place attractiveness). Always a good sign (of quality): many of the presenters have been interviewed by The Place Brand Observer – or otherwise involved, for example as subscribers or with a profile in our speaker and business directories. We are quite picky about who we feature in our virtual house of place branding, on PlaceBrandObserver.com! Sweden and Stockholm: A very interesting example of how country-level brand strategists can work with city brand managers and marketers. A strong (capital) city is almost always a strong asset for a country and its destination marketing organization. And both capital and country can use synergies and leverage from each other’s strengths – as they do in Sweden. Michael Persson Gripkow, Global Brand & Strategic Communications officer at Visit Sweden, already told us about the organization’s collaborative approach in our interview last year. Place brand(ing) teams working together closer, across different levels – city (e.g. Stockholm), country (e.g. Sweden), region (e.g. Scandinavia) is something we see more and more often. Efficiency gains and greater impact are two obvious reasons. How they do it? Shared communication platform, alignment of core values to be promoted, and regular meetings to stay up to date and exchange information. Also, common brand tracking and market analysis. Key challenge: changes within the organizations, especially changes of leadership teams. Key advice: good communication between organizations is absolutely critical. Both organizations need to have a strong will for cooperation. And, patience. It takes time to build trust and get to know each other! Jorick Beijer, director of The Class of 2020, isn’t necessarily a place branding professional, yet his presentation was among the ones which I found most inspiring – and relevant for places that want to stay up to date and stand out. in Europe, a whole generation with “Erasmus” experience – having lived and worked in another European country and being much more mobile and flexible in terms of attitude and expectations. no longer linear career pathways where you’d work for the same company in the same location for 10 or 20 years. So, what are the keys to attract talent? 3) we have to adapt real estate and social housing which offers co-living, but in a way which entices people to not just stay in a place temporarily, but buy and become residents. For this, new partnerships are needed between key players, such as pension funds, other investors and institutions. Urban campus: a place for living, working and learning. Examples include Zoku in Amsterdam and LX Factory in Lisbon (which I visited last November). Involving universities is a key part of this – for cities which have them. But also involve the residents and make sure developments aren’t dominated too much by private sector companies – Google Campus in Berlin did not happen because of resistance from locals! Staying with the topic of talent attraction, Ivan Jimenez Aira, Managing Director at Bizkaia:talent shared the story of Bilbao. Especially smaller places must go out there where international talent is, and seduce them to either consider moving or – if it’s diaspora – entice them to come back. Among other things, Bilbao uses an online platform through which businesses and potential employees can connect. Skelleftea is an interesting example of how a comparatively small community in Sweden managed to attract a large battery manufacturer, Northvolt. Helena Renström, Marketing Manager at Skelleftea, illustrated how sustainability was a key to success for the community’s branding and investment promotion. She also pointed out that landing this major investment was the result of strong community collaboration and successfully engaging partners. The result: very low unemployment, but also housing shortage. This now seems to be an issue no matter how large the city. Anders Frolund, Head of Events and Communication Support at Aarhus University in Denmark illustrated how important a city’s “experience performance” is for attracting conferences. If the conference is great, well organized, then participants will associate this success with the host city. Linked to this, a city needs to offer experiences that attract conference organizers – beyond the actual presentations. And the other way around. And: sustainability is becoming a crucial factor as universities and other public institutions are introducing checks on greenhouse gas emissions. Green MICE is gaining ground – and the Nordic Place Branding conference a good example for it, by means of selection of (vegetarian) food and only the most necessary print outs, for example. No plastic conference badges either, or bags etc. Overtourism is was a trending topic last year, and one which continues to gain importance. Sometimes, great initiatives and campaigns become so successful that they drive destinations to the limits of their carrying capacity. Faroe Islands are a good example, with their Sheep View and then Google Translate campaign. They now became “closed for maintenance” – another campaign with potential to go viral, this time aimed at having volunteers visit the destination for some days, helping get it back in good shape. Not just as campaign: “closed for maintenance” is a sign of our time and something we’ll see in many more destinations in the future. Another change happening in Faroe Islands and elsewhere right now is the move from destination marketing to -management organizations. “Doing, rather than telling” is en vogue. Storydoing. Also: Campaigning and publicly standing for values which the place and its people feel strongly about. Getting locals involved – residents and companies. Put effort into communicating internally. And magic happens. In the case of Faroe Islands, their innovative, quirky ideas helped reverse the trend of brain drain to having an increasing population (approx. 51,000). What do The Hague in the Netherlands, Valencia in Spain and Edmonton in Canada have in common? All are cities which have been very active in using placemaking and place branding strategies to attract talent, reconnect the city – or parts of it – with the locals, using people-led, bottom-up approaches. Place branding has to become more about the people, residents, and not just about economic development and investment attraction – one of my key takeaways from the presentation of Luuk Helleman, brand manager of The Hague. Place branding cannot and should not be measured merely in terms of financial return. Ramon Marrades, urban economist and chief strategy officer at La Marina in Valencia, took us on a tour around the redeveloped waterfront of this city – often overshadowed by Madrid and Barcelona. Valencia wasn’t always lucky with its decisions in the past, but is now becoming more self-confident (for instance by turning down Tesla’s offer to open a flagship store at the waterfront) and is up to something big, worth keeping an eye on. What Valencia’s city makers seem to have understood is that keeping the locals happy is a key requirement for being able to offer worthy experiences and moments to visitors. Fancy harbor front shopping centers or hipster bars are no longer enough. Instead, supporting a lively music scene has direct and real value for locals. Edmonton is a story of community re-imagination and city branding success very much worth studying. More about how they do it in this case study. Helena Nordström of Placebrander shared examples of small communities making big things that stand out from the crowd. You no longer have to be big and important to be noticed. Creativity rules. Have you ever pitched like a polar bear? The Nordics are famous for their quirky, humorous communication and campaigns. A good example is Polar Bear Pitching, a project which helped the Finnish city of Oulu after the demise of Nokia to get back on its feet. Mia Kemppaala had the audience giggle, and you can read more about Polar Bear Pitching in her interview. We also heard from Finland, Estonia and Sweden about their latest campaigns and ambitions to reach the hearts and minds of potential visitors, investors and workers. And other presentations of communities across the region – too many to mention here. Next year in Oslo, Norway. Overview of upcoming conferences on place branding here. There’s a topic or person/project/place you are especially interested in or curious about? Let me know. I might be able to help and connect. Explorer, matchmaker, editor. Founder of The Place Brand Observer, the Sustainability Leaders Project and GreenCityTrips.com.